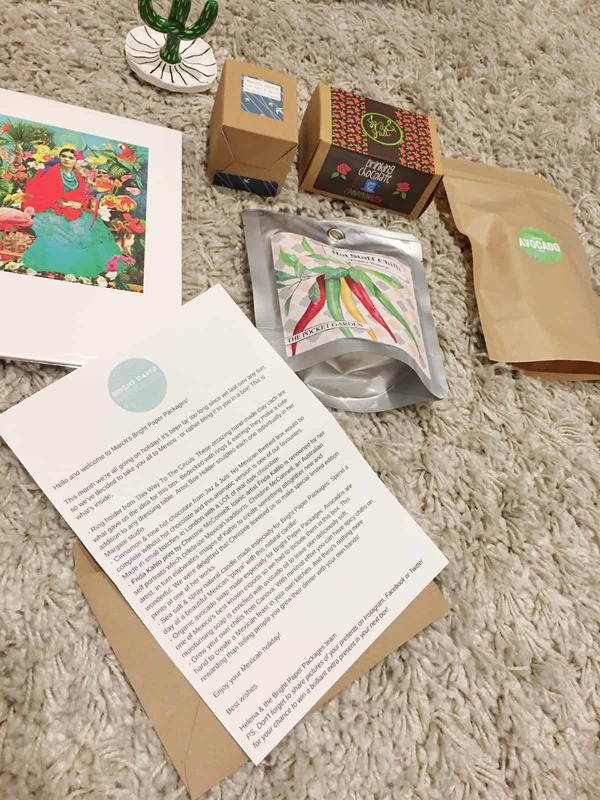 Home Reviews Bright Paper Packages – March 2016: Mexico. 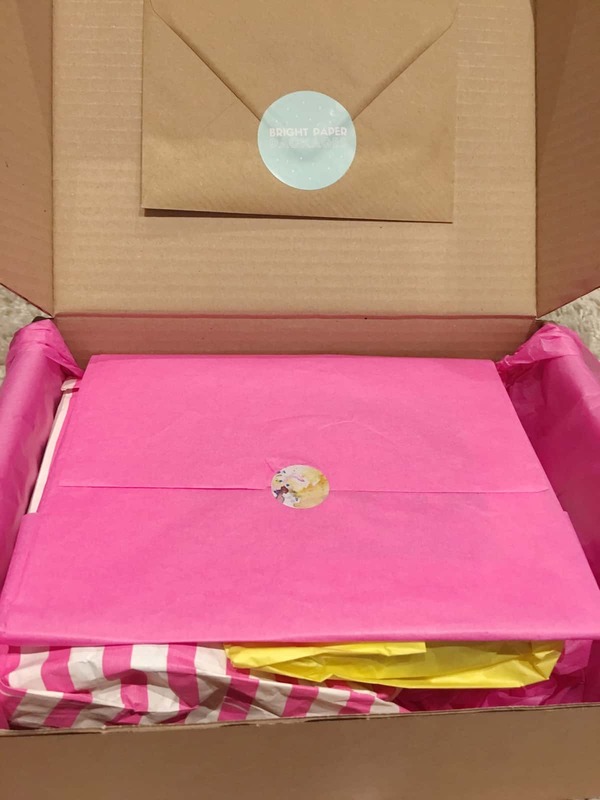 Bright Paper Packages – March 2016: Mexico. 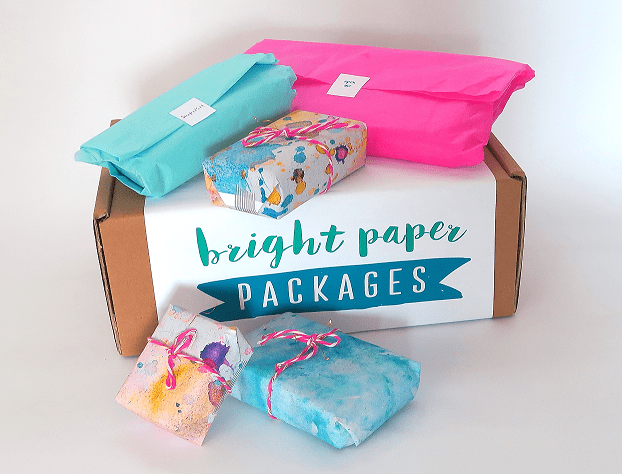 The Bright Paper Packages subscription box promises a monthly miscellany of handmade and locally sourced surprises, all curated around a theme. March’s offering dutifully delivers on the surprise front, transporting recipients to the rich and vibrant setting of Mexico. Emerging from the dreariness of the winter months, the vivacious colours and fiery flavours associated with Mexican culture will appeal to subscribers. The theme easily lends itself to a range of possibilities for bright, attractive trinkets and scrumptious treats. Reverting to the larger box format for March, the packaging won’t fit through a standard mail slot. 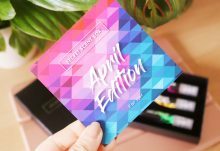 This is something that Helena and the team at Bright Paper Packages have experimented with in previous months. However, they have reverted to the original packaging because it provides more freedom to include larger- or more awkwardly shaped- items in the box. In my opinion, this is a welcome compromise: my most coveted inclusions have been on the bulky side, including candles or the quirky ring stand this month. The precedent for the quality of packaging is established by previous boxes and March is no exception: all items contained within are wrapped and sealed by hand in pretty paper, bags, tissue and the more fragile items are protected with bubble wrap. Upon opening the cardboard box, the contents are swathed in tissue paper and the subscriber letter is affixed to the inside of the lid. Despite the urge to immediately tear into the envelope, I personally enjoy unwrapping each of the items in turn and hazarding a guess at the unifying theme. 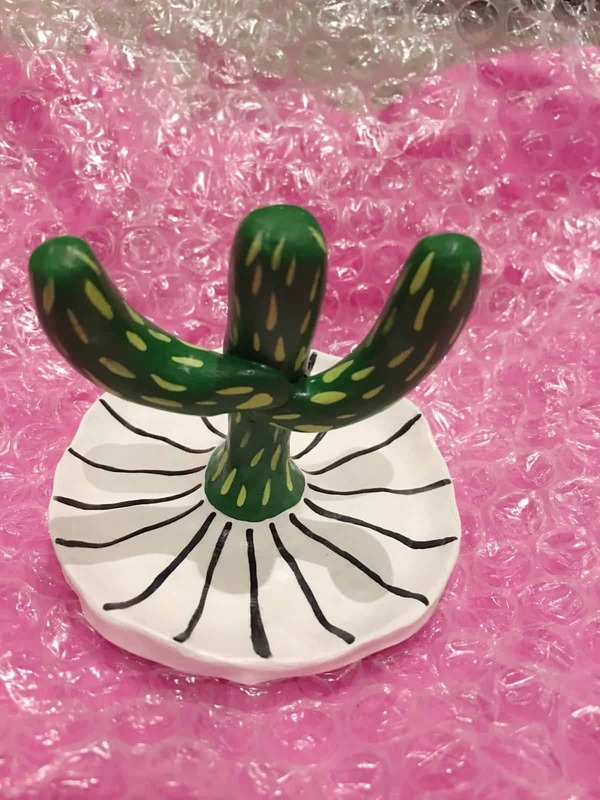 I instantly fell in love with the eccentric ring holder, which is in the shape of a cactus and teeming with character. Slightly wonky and brimming with the charm of a hand painted souvenir purchased on a Mexican holiday, this was the highlight of the box. This Way to the Circus specialises in clay designs and each of these funky stands was sculpted by hand in Margate. Mine is currently displayed on my makeshift vanity table (next to a golden pineapple!). It’s a small infusion of fun and I only have a modest collection of rings, so this is a perfect size for me. 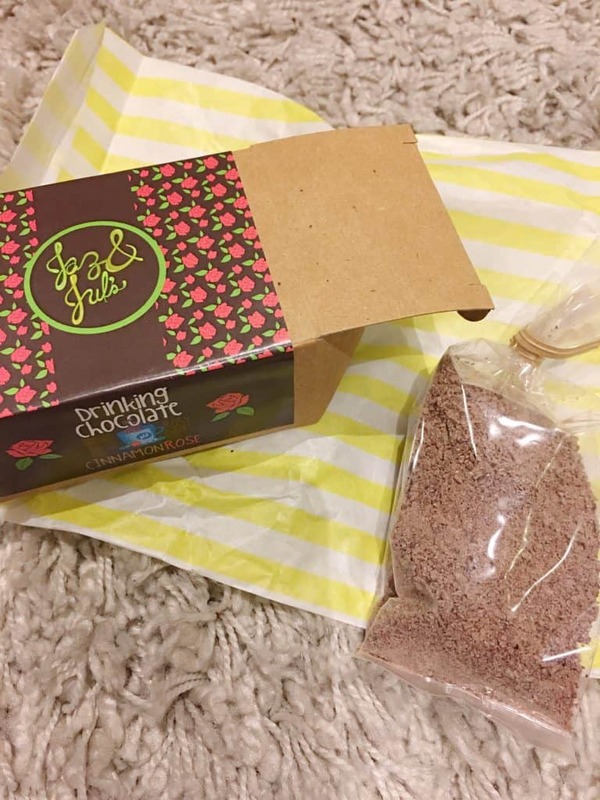 It’s a universal truth that pampering time demands a dose of chocolate, so the inclusion of the cinnamon and rose hot chocolate from Jaz & Juls is spot on. Prepared with hot milk to give an aromatic and luxurious treat, the powder offers a rich blend of dark chocolate. It represents the full-bodied, bitter cocoa associated with the Mayans, who are said to be the first to discover the use of the beans in food and drink. The colourful portrait of Frida Kahlo is a limited edition of a print by Australian artist, Christine McConnell. Today, Frida is a pop culture icon who is embraced by feminists and celebrated for her idiosyncratic self-portraits. 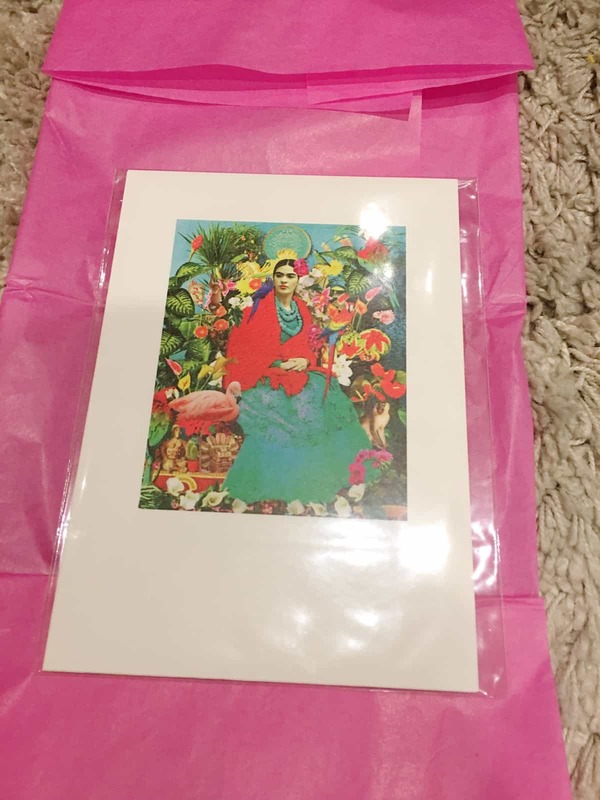 Her style and use of colour epitomise Mexican tradition and this eye-catching print has already found a home on my shelf. 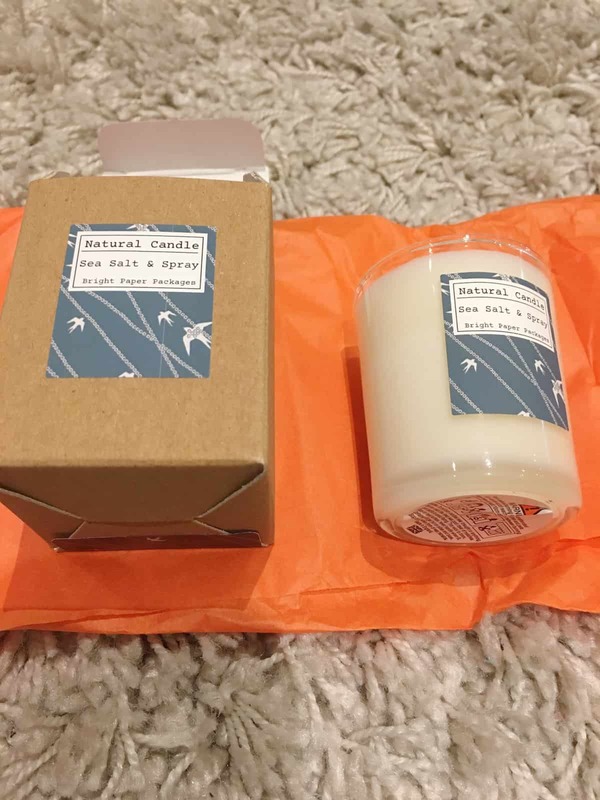 The miniature sea salt and spray natural candle was commissioned for Bright Paper packages and its clean, briny scent evokes the sensation of a languid afternoon on the beach. Prompting Images of azure waters and pristine sand, it’s the perfect fragrance for the bathroom, where fresh and uncomplicated aromas work best. This is an easy way to instantly escape to the playas of Mexico without the need to pack. 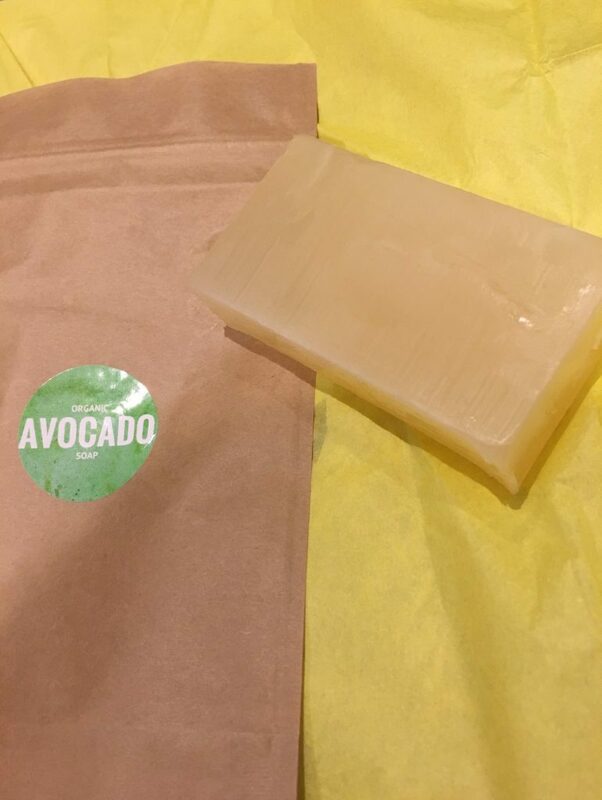 Another commissioned item for this box is a lavish bar of organic avocado soap. Enriched with natural avocado oil, this hydrates and nourishes the skin without any abrasive chemicals. It also leaves a pleasant whiff of avocado behind. Avocados are ubiquitous in Mexican cuisine and grow in abundance in the country, so this is a creative way to include another representation of Mexico in the box. Finally, Canova’s grow your own chilies is a playful addition. 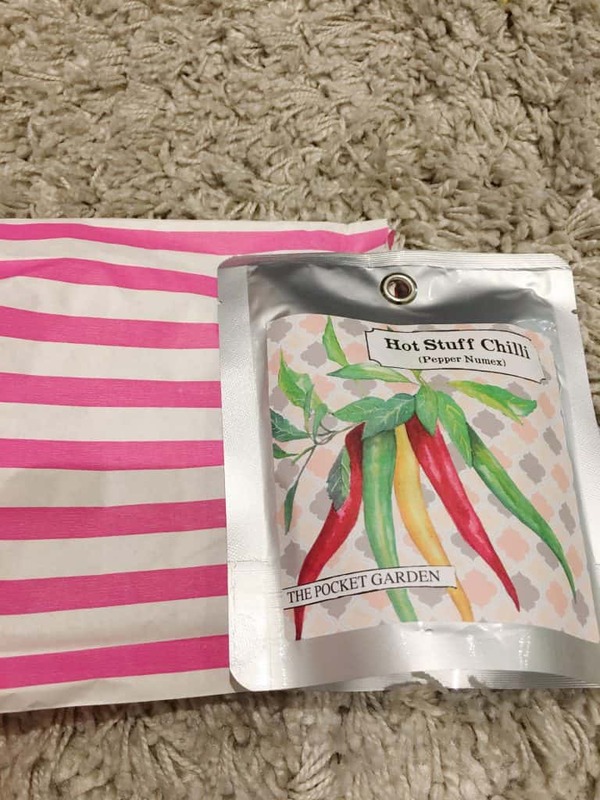 This is a pocket garden in a bag- the small seeds are buried into the soil, a splash of water added and- in theory- the chillies will germinate and be ready to spice up any dish within a couple of weeks. Ideally sized to prop on a kitchen shelf, this fuss-free style of cultivation is appealing to any flat-dweller with a history of killing houseplants! I have sown my chili seeds and am now eagerly awaiting the fruits of my (limited) labour. 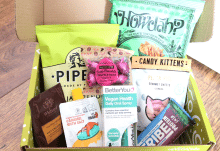 The contents of March’s box all cleverly link to Mexico and represent a wide variety of items- from the edible to pampering essentials- and all are high quality and artisanal. There is a large contingency of bespoke surprises to Bright Paper Packages this month, lending them value as exclusive offerings. Furthermore, I’m confident that each of the contents will be used or put on display, contributing to the overall value of the box and justifying the price. My only criticism of the March 2016 box is omission of background information on the contributors of the candle and soap, as these are merely described as ‘made exclusively for Bright Paper Packages’ in the subscriber letter. I like to keep an eye open for the manufacturers and designers included in each box at markets and craft fairs. I remain a devotee to the Bright Paper Packages concept and eagerly look forward to receiving my box each month. Always brilliantly curated and meticulously packaged, I’m continually delighted with the variety of contents and the handmade treasures. This is also a great box for gifting because I’m confident that my likeminded friends will cherish it as much as I do! Bright Paper Package boxes are available at £20 with shipping included for a one-off purchase (and other subscription options are also available). Another fine example of the treats and surprises tucked inside each Bright Paper Packages box. 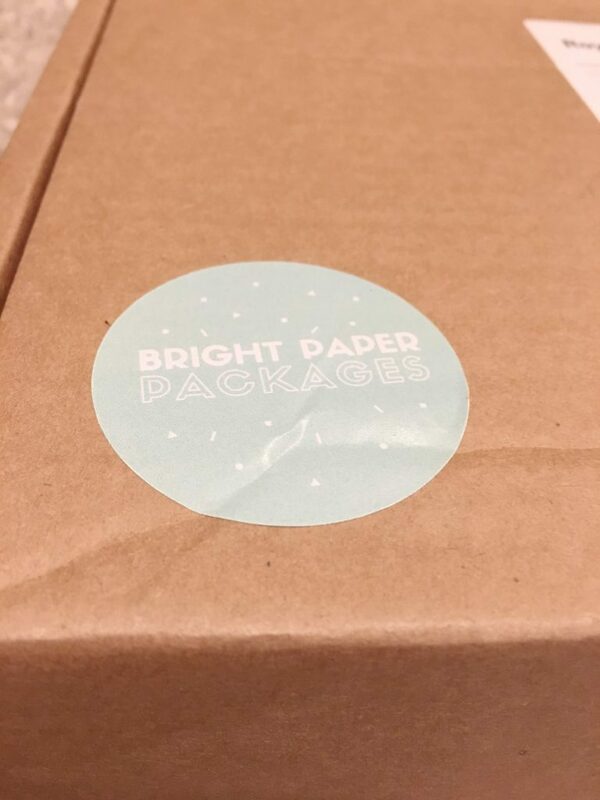 How would you rate Bright Paper Packages ?